Thank you to Balsam Hill for sponsoring this Christmas in July giveaway! I know this might sound crazy, but one of the things I love MOST about summer is that there are no big holidays! Aside from the 4th of July, which is just pure fun…..and the fact that summertime = birthday time around here, I love that summer is free from the pressures of baking, hosting, shopping, wrapping, cooking, decorating, and celebrating the major holidays! Don’t get me wrong – I love Thanksgiving and Christmas as much as the next person…..but can we agree that sometimes there is SO MUCH going on in November and December that it’s hard to even enjoy it?? Since having 3 kids, I’ve really been working on NOT being the kind of mom who turns special days into stressful days. Even though we all clearly love summer….there’s no reason we need to dread the holidays! I love to decorate and I love to host, but I have to do it differently now (or else we’ll all lose our minds!) Here are a few simple tips that have worked for me – tried and true ways I’ve found to be able to enjoy myself in the holiday season….but still make things feel special! 1. Get inspired. Inspiration is everywhere! I recently shared that I started planning for this year’s summer birthday party LAST summer….and it was all because I got inspired by a package of napkins I found at the store! When it comes to decorating and planning for the holidays, why wait until November to get inspired? Open up your eyes NOW….you never know what you might find! 2. Do a little bit at a time. Everything feels easier when you tackle it in pieces! I’m a big fan of doing a little bit at a time – picking up a few gifts here or there, collecting new holiday decorations as I see them, gathering cookie recipes and fudge recipes that will be perfect for Christmas…regardless of the fact that it’s only July….! There’s no better feeling than knowing you already have a start….no matter how early it is! 3. Use what you have. I’m a firm believer in using what’s available to you! Especially when it comes to decorating. Now that we live in a woodsy area with lots and lots of trees, I have lots and lots of sticks and twigs and pine cones available to me….and you better believe that I make use of them! In fact, when I looked back at some of my posts from this past Christmas, I had to laugh at what I found! Yep, I definitely used what was available to me….. So what’s inspiring me right now? 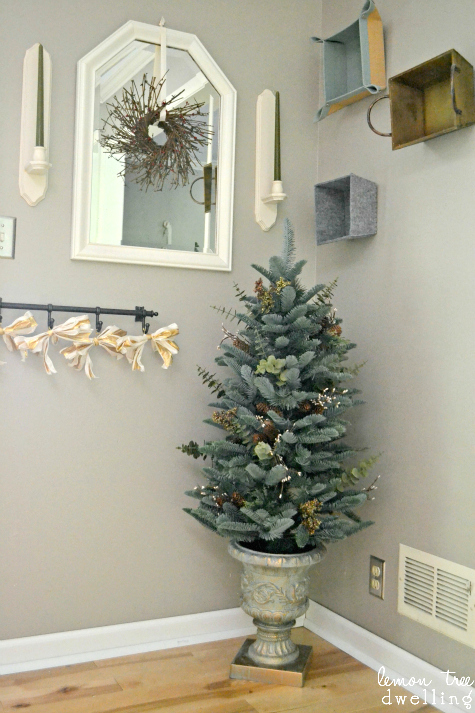 This gorgeous potted tree from Balsam Hill!! And you know what? There are SO MANY to choose from! If you’ve never heard of Balsam Hill, you HAVE to go check it out! 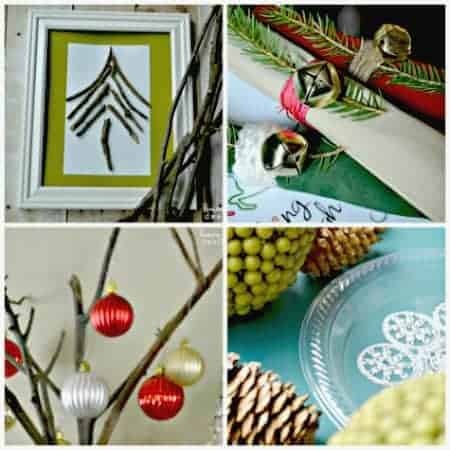 It’s a wonderful site with wreaths, garland, Christmas decorations and home decor……and lots and lots of trees! This tree (the Mountain Meadow Potted Tree) spoke to me, in particular, though….because of the beautiful pot it comes in, because of the compact size, because of the gorgeous sage green, and because of the fact that it picks up my natural, woodsy motif (can’t you see it fitting in beautifully with everything from last year!?) It was so easy to put together – just 3 pieces – and I absolutely LOVE IT! I must say….it feels great to already have a head start on Christmas….inspiration and all! But the best part of all?? I want to give YOU the same gorgeous tree….to help you enjoy yourself a little bit more this holiday season! AND, since Balsam Hill is having a huge Christmas in July Sale, I want to share a coupon code with you, good for an additional 10% off anything on the website! Just enter LEMONTREEDWELLING10 at checkout! Good luck, everyone…..and happy shopping!! I LOVE this tree! I recently came upon a blogger whose site is all about celebrating Christmas 365 days a year, and it already put me into the Christmas spirit. So seeing your Christmas themed post today is making me even more giddy with excitement! Love this! I’m always thinking about holiday time! 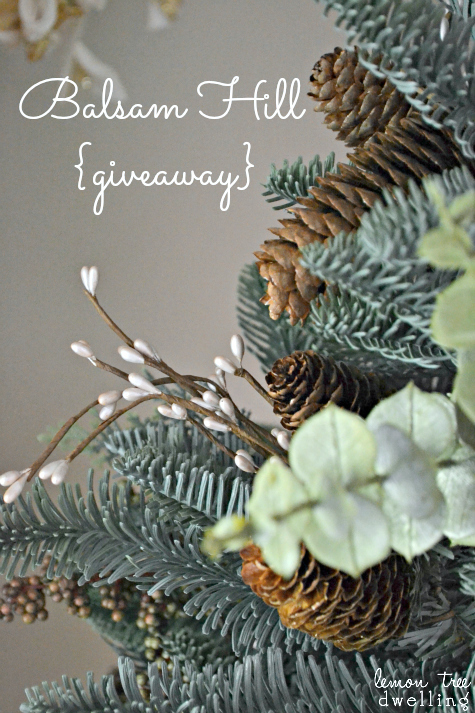 I really love their wreaths – the Holiday Garden Wreath is my fav! Great giveaway Cathy and I had never heard of this company – thank you! 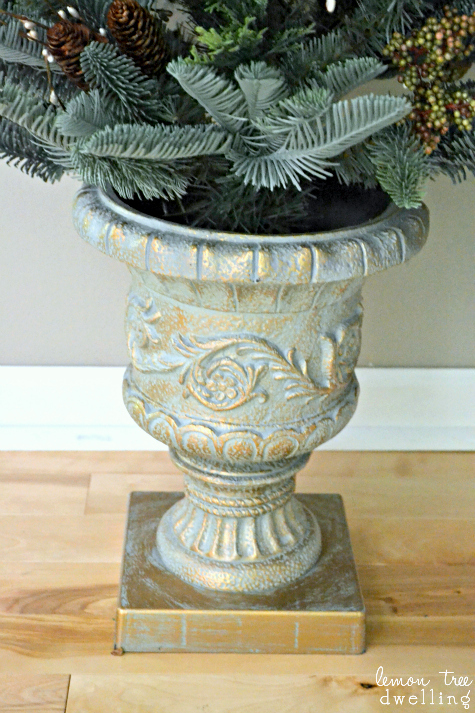 I like the POTTED COLORADO MOUNTAIN SPRUCE – 7foot tall. I like the Mountain Meadow Teardrop Swag for the mantel, with lights of course! I like the Napa Valley Lavender wreath. 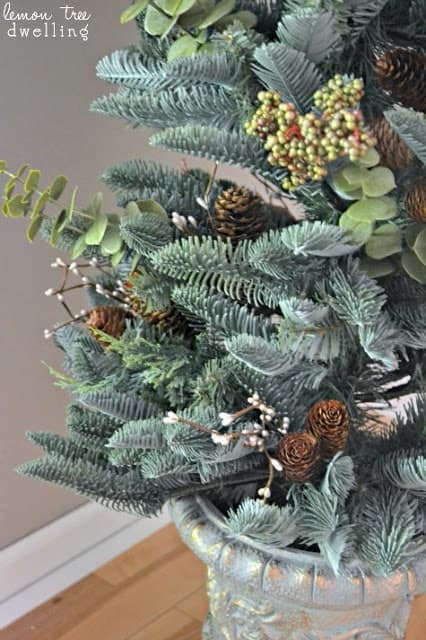 I really love their wreaths especially the autumn ones! But this tree is beautiful! It would look great in my foyer 🙂 Thanks for the chance to win!